The Select Homes Team is committed to creating positive, enjoyable real estate transactions through the efforts of the most dedicated team of real estate professionals in the Capital District. 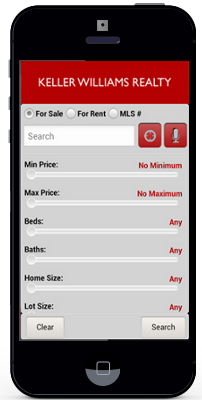 Partnering with Keller Williams, the largest real estate company in the world, empowers the Team with the most innovative tools, technology and reach. We strive to consistently exceed the expectations of our clients both before and after the sale, partnering together to create a great environment where we can learn, grow and succeed together. The Select Homes Team utilizes cutting edge marketing to provide their sellers with a quick and seamless sale of their home and serve as a consultant to guide buyers through all steps of the purchase process. The Select Homes Team is a top-producing real estate Team in the Capital District of NY. In 2017, the Team successfully closed just under $30 million in sales and helped over 80 families sell a home or purchase a new home. We proudly represent some of the Capital Region’s finest home builders. Cedar Pointe is a 47-unit subdivision located in the Town of Malta. Ranches, first-floor masters and colonial floor plans ranging from 1,900 to over 3,000 square feet. Our plans are well-designed and place a large emphasis on open living spaces and an abundance of natural light. Bender Farms is a 26-unit subdivision located in the Town of Bethlehem. A family oriented community in the award winning Bethlehem School District. Offering plans and features to suit any family. Treed private settings that are close to schools, shopping and all conveniences. This maintenance-free community offers both single family and twin homes. With a focus on beautiful landscapes, innovative site design and a tranquil country setting, Glen Meadows is the perfect place to call home. Copyright © 2019 · Select Homes Team | All Rights Reserved.